You are going to Watch One Piece Episode 430 English dubbed online free episodes with HQ / high quality. 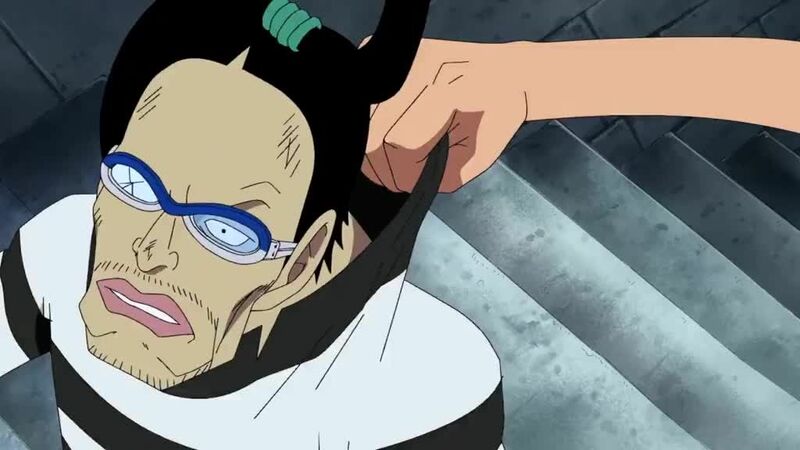 Stream Anime One Piece Episode 430 Online English dub The Imprisoned Warlord! Jinbei, Knight of the Sea! Ace speaks with Jimbei, a fishman who is one of the Seven Warlords of the Sea, in his cell, and learns that Jimbei had wanted to stop the war between Whitebeard’s pirates and the Marines because Whitebeard protects Fishman island from the pirates who pass through it. Several other pirates on the level, including Crocodile, want Whitebeard dead for thwarting their ambitions. On Level 2, Luffy, Buggy and Mr. 3 run from the beasts before encountering the Sphinx, which is the boss of the level. Mr. 3 plots to escape with Buggy to a higher level while using Luffy as bait, but his plans fail. The Sphinx destroys the floor while attacking wax duplicates of Mr. 3, causing it, Luffy, Buggy and Mr. 3 to fall to Level 3.